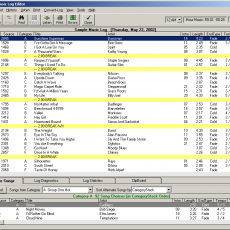 Natural Log 9 is an integrated solution for radio stations requiring Traffic Logs and Billing that will interface with their radio automation software. Natural Log is sold on a ‘buy-out’ basis and includes interfaces for most computer automation systems at no extra charge! 1 year of free telephone support is included. After that, you may purchase an annual support package if desired. 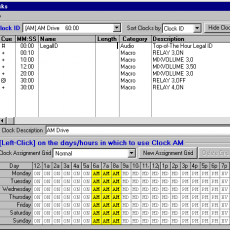 Log color-coded system to designate breaks that are full, over-filled or under-filled. 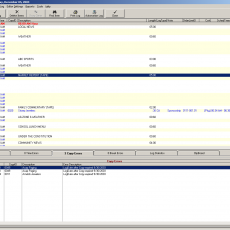 Natural Log for Windows is designed to run on a standard PC using Windows 7, Windows 8 or Windows Server 2008 or later. The system described below should be considered the minimum acceptable system for running Natural Log for Windows at an acceptable speed. Faster machines will give better performance. USB-Drive, Zip-Drive™, CD Burner, tape backup, or other device for data backups. Click HERE to view the quick-start guide. 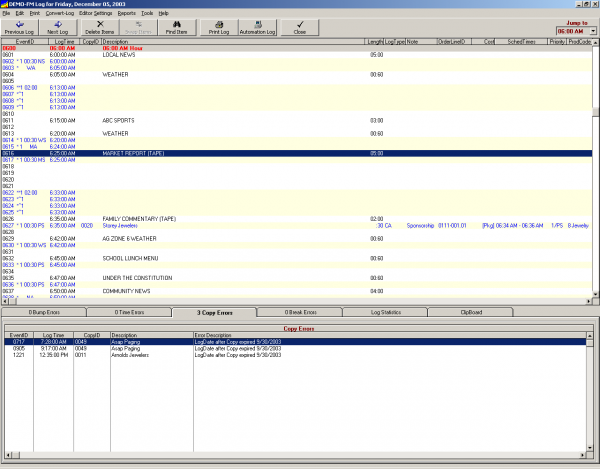 Click HERE to view the eOrder guide. NOTE: Natural Log is a download-only product. No physical product will be shipped to you. Use the links above to download the product and its manuals. Natural Broadcast Systems is a vendor for BSI and not owned or controlled by BSI or Cumulus Media. BSI is not responsible for content, distribution or support of Natural Software.